2 Shoot. No, Don't Move! Shoot! ..Shoot. 3 Why Is This Game Tegra-exclusive? PC gamers know the ARMA series as wickedly difficult, painstakingly accurate military shooters - the thinking man's (or possibly masochist's) alternative to the likes of Call of Duty. 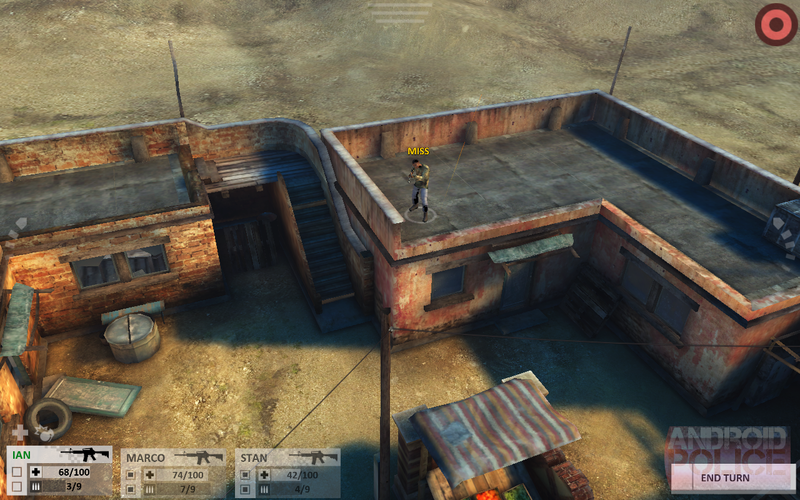 For its first full mobile game, ARMA is eschewing the first person shooter genre in favor of a tactical game: a top-down, turn-based combat system where strategy wins over speed and reflexes. It's a good choice for touchscreens, and an understandable one given ARMA's current fanbase. It's just too bad that the execution didn't pan out. Arma: Tactics THD makes a solid effort to update the tactical genre and integrate it with the modern shooter aesthetic, but fails at just about every point. The interface, movement, controls, and story are all decidedly sub-par. And the technical presentation is just OK, which makes it hard to justify the poor performance, high price, and the presence of in-app purchases. All in all, it's hard to believe that fans of the ARMA series or the strategy genre at large will find anything to like here, even if they have the requisite NVIDIA hardware. Upon opening Arma, you're thrust into a quick boot camp to give you the lay of the land. Your squad consist of four international special forces operatives, all of which move in turns. Once you've finished moving, firing, or using the special abilities of your four units, the enemy gets a chance to move. It's much more like a board game or tabletop RPG than a traditional video game, which isn't a bad thing - this is the grist to the strategy gamer's mill. Each turn, a single unit has two Action Points, which he usually uses to move or shoot. Move twice and you can't shoot, which can sometimes leave you in a bind if you accidentally run into the enemy's field of view. 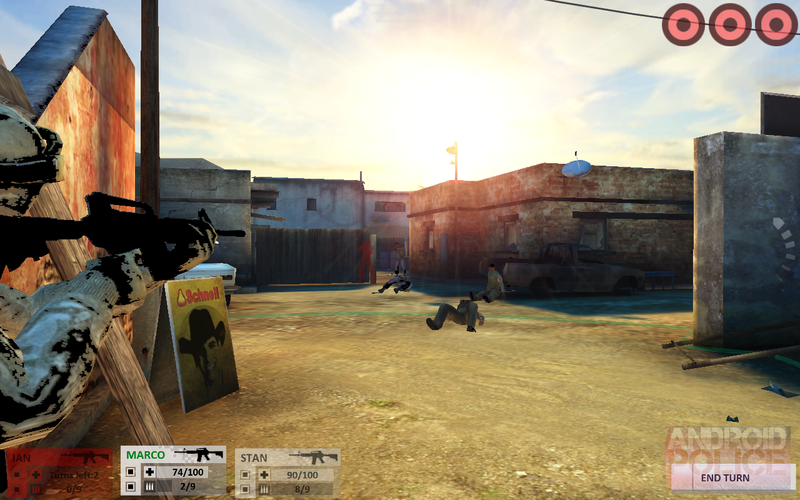 Shoot twice at enemies with relatively low aim, or use both action points for a stationary aimed shot. Various modifiers and special skills can change the way that your unit works, or reacts to enemies. The problem is that Arma likes to play by its own rules. 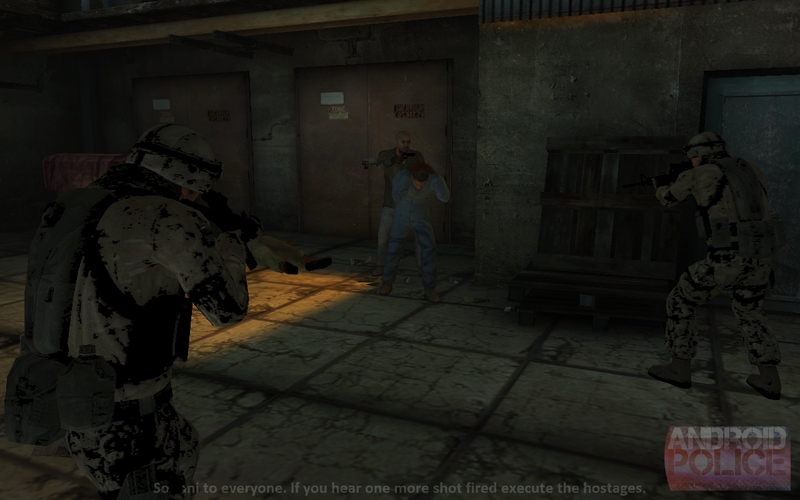 There are certain conventions of the tactical genre that aren't present here, most notably a movement grid. 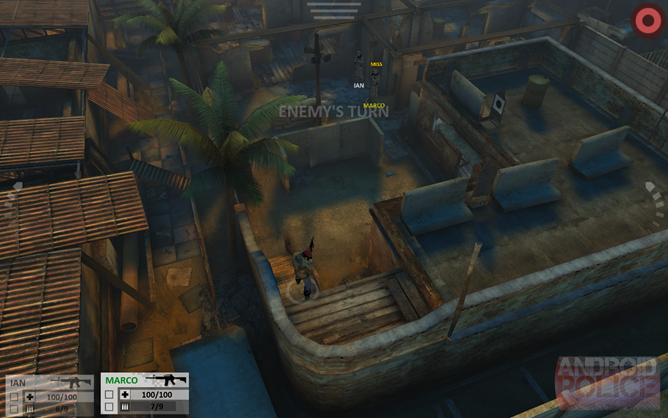 Most games have units move on a grid-based map, which is present no matter how advanced the actual graphics or environments are. 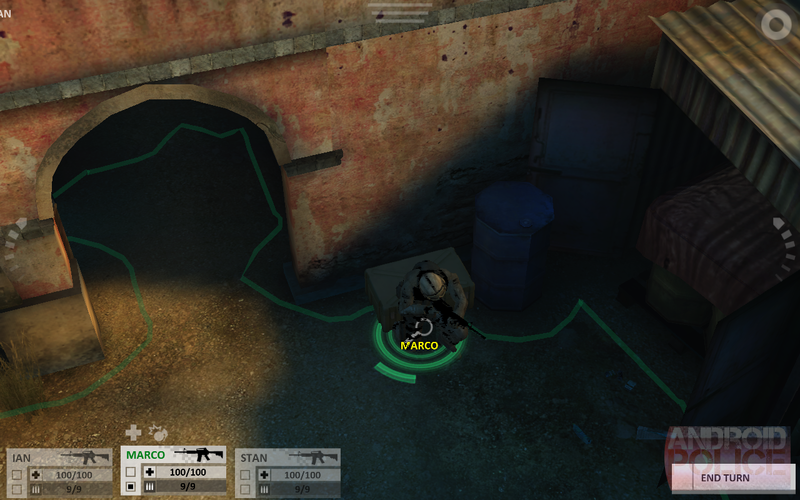 Not so for Arma - units can move in any direction, and stop at any point (though moving close to a wall will automatically place them into cover). This wouldn't be a problem, except that the grid usually serves as a way for the player to easily distinguish which enemies can be fired upon or can fire upon you. No such indication exists for Arma, so the vital function of positioning and cover becomes frustrating guesswork. Speaking of cover, the protection or tactical advantage that any one position offers is also never communicated to the player. Can enemies see your unit over this chest-high wall? Will bullets fly through these crates like Swiss cheese? Does this position open up a flank for that enemy which is almost, but not quite, to the side of your unit? There's no way to know, and your soldiers will take a lot of bullets for want of the information. They will die, and you will swear. Shoot. No, Don't Move! Shoot! ..Shoot. 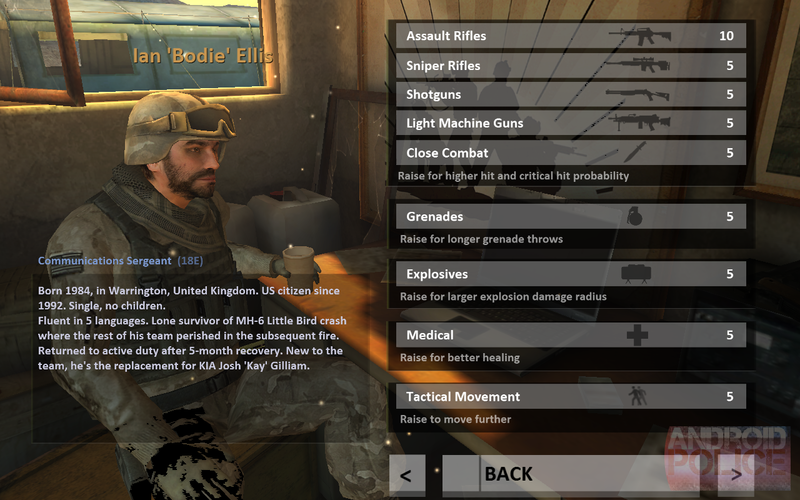 Arma's confusing battle system isn't helped by poor controls. It's unfortunately clear that the developers don't have a grasp of what makes a game easily playable on touchscreens, because selecting, moving, and firing your units is a chore. To move, you highlight one operative, then drag his action marker to the place where you want him to go... which is often blocked by the scenery, your finger, or both. There's no visual indication of what movements will take one action point or two, beyond a tiny, tiny bit of text, which isn't even visible at the higher "elevations" of the 2D plane. Special actions are taken by pressing the unit, which seems to make him move instead about half the time. The isometric perspective doesn't help either. While it's used in modern tactical games to show off the fancy 3D graphics, Arma doesn't quite know how to make it work: it's all too easy to move into an enclosed space where you can's see your own units or the enemy. Shooting is another hassle. 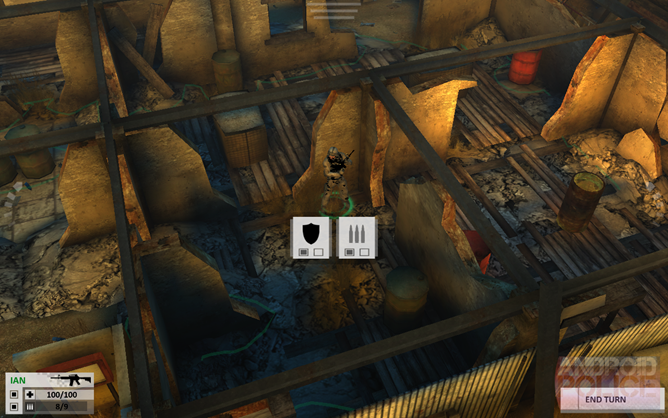 Possible targets are highlighted with dots at the top of the interface - a known but inaccessible enemy is a gray dot, while an enemy you can shoot is red. Double-tap on your unit to use items or abilities, but zoom in all the way first, otherwise you'll accidentally move him. The rest of the interface is a series of uninspired gray boxes, which sometimes delineate possible actions, and sometimes just display information. You won't know which until you click them... or move your soldier out of cover by accident instead. 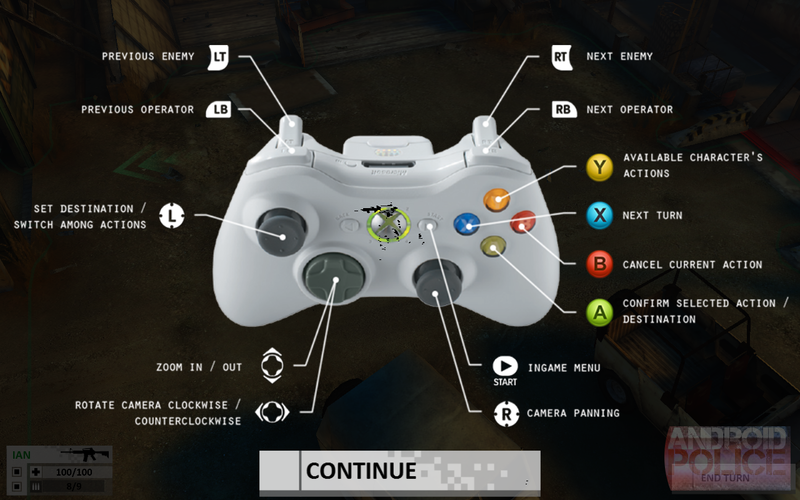 The tutorial and in-game menu refer to movements in terms of a console controller - the menu even has a photo of an Xbox 360 pad. This makes me think that the game was intended for NVIDIA's SHEILD hardware, and that might go some way towards explaining why the touchscreen controls are lacking. Your mileage may vary with third-party controllers. Why Is This Game Tegra-exclusive? Audio is pretty similar: serviceable, but not good. The voice actors seem to have taken their inspiration from 80s action movies, and the gunshots sound like clicks instead of live fire. Throw in some generic ambiance for the exclusively Middle Eastern story, and you've got something that you might as well turn off. As a technical showhorse, Arma Tactics THD leaves a lot to be desired. There's just one option for advanced graphics, which didn't improve things much. Maybe Tegra 4 will unlock better graphics and performance, but as it stands now, it's just not impressive at all. And here we come to the really ugly part of Arma. It's a $5 game, which puts it on the high-end category for Android... and it includes in-app purchases. To be fair, purchases for better equipment and items are entirely optional, but the punishing difficulty and relative lack of in-mission credits make them practically a must-have if you want to advance the story. You could take the view that the difficulty of the game is a good thing, or that it comes from the poor controls instead. None of these options are appealing. 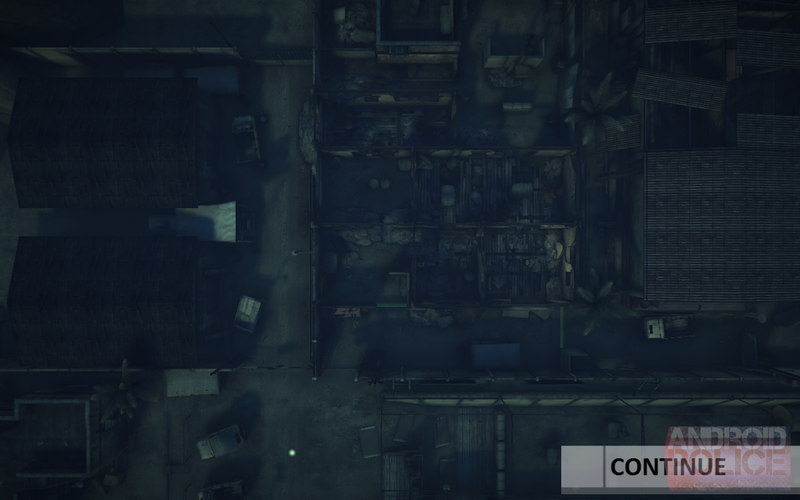 At the moment, Arma Tactics has just five missions available in the campaign mode - five maps, five sets of enemies, five tactical scenarios. While the app description says that more are coming, that doesn't change the fact that this game is $1 per mission as it stands, making the value proposition very poor indeed. 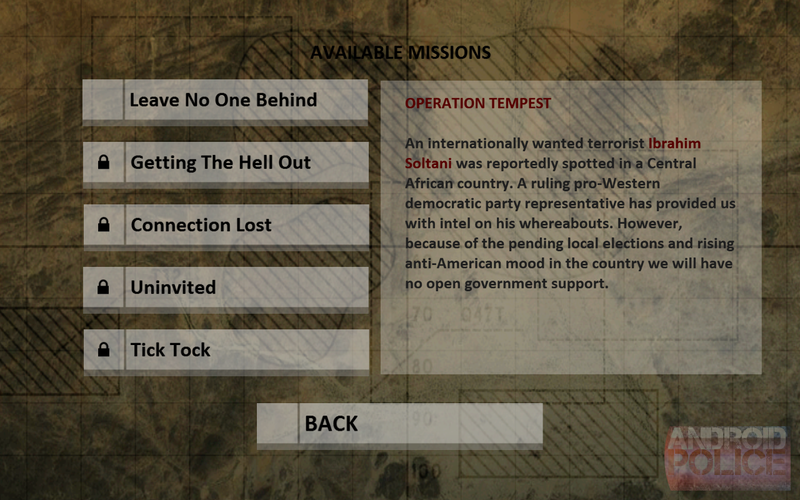 It's true that you can create your own individual missions, but they're limited to the same five maps, and only available once you beat them. If you're stuck on one of those five, you'll have to replay older missions or shell out real money for better gear. Unless you have to have a turn-based strategy game that's based on semi-realistic soldiers and situations, it's very hard to recommend Arma Tactics THD to anyone. Between the poor interface, lackluster graphics and sound, and surprisingly limited game content, it just isn't worth the five dollar asking price. Perhaps it will find a more willing audience on the NVIDIA SHIELD, for which it is probably intended, but at the moment it doesn't offer much more than frustration. Simply put, there are better military strategy games to be had on Android, for less money, without the restriction to NVIDIA hardware. Want gung-ho military bravado? 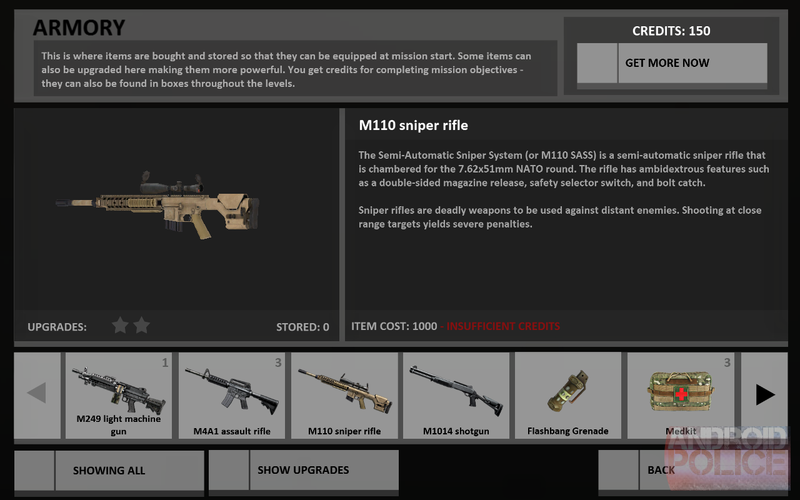 Then buy Modern Combat 4, warts and all. Want turn-based strategy with a great battle system? Buy The Hunters (for quite a bit less than Arma, at a price that actually justifies in-app purchases) or Great Big War Game. Want to have an enjoyable time with a good strategy game? Then avoid Arma Tactics THD.